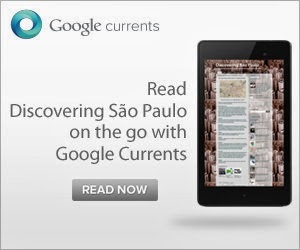 Talk about a rail link between Rio de Janeiro and São Paulo is not new. And it’s not hard to see why people get excited about it. São Paulo– Rio de Janeiro is the busiest air route in the world with 1,130 commercial flights a week. No two airports in the world has more aircraft movements and part of the reason is the lack of adequate alternatives. Taking a bus takes 6-7 hours if you are lucky enough to avoid heavy traffic and there is no train service, nevermind a bullet train. Why then is not built already? The answer is not so much in the politic will, Dilma Rousseff actually went as far as promising it would be built in time for the 2014 world cup which is obviously not going to happen. The fact the project has vanished into thin air means she has actually been accused by some of using it only as an election tool. The other reasons lie in cost, expertise and corruption. The cost of operating the line would be R$35.6bn (US$15.2bn) and the tender was already launched back in 2010. The problem turned out to be that no capable company was interested in bidding for it. The submission date was moved from April 29th to July 29th 2011 in an effort to attract more companies but again not a single company showed any interest. To attract more bids, it was decided the total cost would be split into two separate areas, operability and construction, which could receive individual bids. One tender would be for the actual construction and infrastructure project and the other for the operational and technological running of the line. The phase 1 tender (construction) was set for December 2012 and again not a single construction company in the world found it attractive. 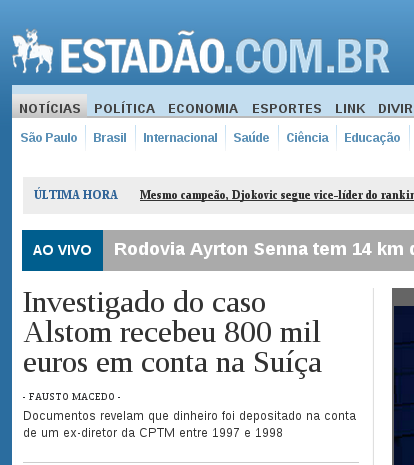 Finally in August last year Alstom, a company involved in other transport projects in Brazil (such as the metro in São Paulo), participated in the tender. However hopes were immediately dashed due to separate allegations of cartel forming. 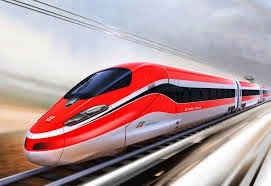 Until the investigation against Alstom has been resolved, there will presumably not be any further bids and therefore no further advancement in the much talked about Rio-São Paulo bullet train link. Transport minister César Borges puts it the following deliberately vague way that only politicians truly manage: “In 2014, I do not expect a tender launch until after the October election. Otherwise, it should occur the following year,"
In Brazil there’s always tomorrow, if indeed the intention to build the bullet train is actually genuine.. I wonder why Brazil (ok, no pun intended) is considered an "industrialized" yet developing nation. It has its own industry and producing power, yet, Brazil is no sweden or finland--social development is uneven and poor to say the last. As for the tgv-like train, will paulistas buy that with all the corruption going on? Arrrgh this frustrates me so much! I love train travel, and have been so spoilt in Europe. I imagine the fear is also when it eventually happens it may be either so unreliable or expensive that it won't be a success. In Brazil the culture is to use cars, so changing perception sufficiently to make this work is key! talking about paulistas and sao paulo itself, what ever happened to the favelas there? have they improved so much or still are the same?